233% more leads received since they upgraded. 200% more leads received since they upgraded. 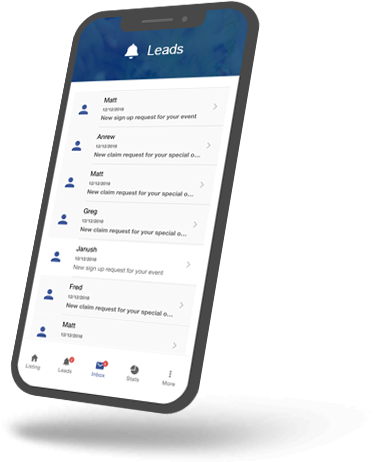 Download our PartiesAndCelebrations mobile app to receive new lead notifications to your mobile and manage your lead contacts at any time. Reach our 150,000+ visitors visiting each year. Get listed along with 20,000+ Australian Businesses. Get your share of the 50,000+ leads we are sending each year.